Do you ever feel frustrated when you can’t access a website which has been blocked by your ISP? Do you ever feel worried about your privacy when you are visiting a non-trusted website on Internet or using a public WiFi? If yes, then for all your worries, VPN or Virtual Private Network is the solution. VPN allows you to protect your privacy by transferring data with encryption and through secured protocols. It also allows you to bypass restrictions set by your Internet Service Provider. In this article, I will list some of the best VPN for Android free download and these apps are mostly based on OpenVPN protocols. Are These VPN Apps Safe? While most of the popular Apps are 100% safe, you should still verify if you are using a genuine App or not. You should avoid using any VPN App APK File outside the Playstore. This is a basic VPN App for Android which provides unlimited free usage with wide server coverage. Developed by AnchorFree, this App is compatible with Android Devices with OS 4.0.3 and later. However, since the App is free, you might feel irritated with the Ads. Still, if you don’t need any bandwidth restrictions for VPN usage, you can go with this App. Hola is popular for its browser VPN extension. This Android VPN App version of the same does the same thing. This free version of the Hola VPN is useful to browse anonymously on the Internet through your Android device. Although the network speed may not be great but this VPN for Android free download still works well without any network restrictions. Turbo VPN is one of the best VPN Apps for Android. It is also one of the highest rated Free VPN Apps with a rating 4.7/5. Turbo VPN provides free and unlimited VPN usage with no restrictions at all. This free VPN for Android works with all Data carriers and WiFi. If you don’t want to experiment with other VPN Apps, you can download this App without giving it a thought. Another great VPN App for Android which comes is both paid and free versions. VyprVPN uses an exclusive encrypted DNS which is created by the company itself. The free version allows one-time usage up to 1GB. It also includes a wide range of servers with decent network speed. TunnelBear is simple yet effective VPN App for Android. With great privacy features, this App is a perfect choice for public WiFi usage. The free version of TunnelBear offers 500-1GB VPN Usage per month. This VPN app free download has a very simple user-interface which makes it easier to configure according to your needs. OpenVPN is the official Android VPN Client for the OpenVPN Access Server. It supports Android devices with Android 0S 4.0 or higher. It has got a simple user interface and also supports IPv6 protocol. As the OpenVPN Connect app supports multi-factor authentication, IPV6, PolarSSL and hardware-backed keystores, it is one of the most trusted VPN Clients for Android. 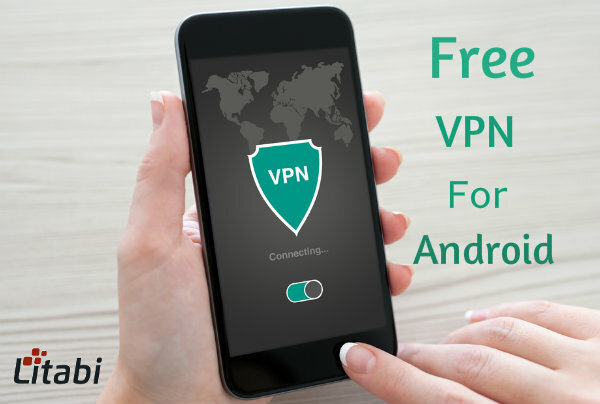 Free VPN Proxy is another great Free Android VPN Client with unlimited bandwidth access and no server restrictions along with a very simple user interface. All you need to do is tap on the ‘Connect’ button and you’re ready to go. This free VPN App provides a variety of servers with great network speed. Which Android VPN App Should I Download? All the VPN Apps for free provided above have some advantages and disadvantages. However, they all serve the purpose perfectly. You can try these VPN for Android free download apps after reading the reviews from the Google Play store which would help you to determine the best App for your usage. If you are facing any issue with any of these Apps or you have a suggestion for us to add a new one in this list, post in the comments section below. I wonder why there’s no facility to share the posts! Any specific reason, Nirmala? Sir, please check. We have floating social share buttons on the left side of the site.